Is your kitchen out-dated, dysfunctional and over cluttered? 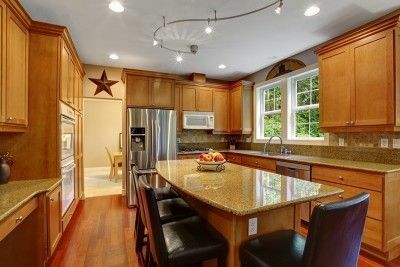 Are you desperate to remodel your existing space with one of the best kitchens Southampton has ever seen? If so, you are in luck and need to look no further as Acorn Building Contracts is precisely the stellar construction company you need to get in contact with today by calling 02380 243 336. To benefit from our unmatched and ultra-competitive prices, second-to-none reputation for excellence and unparalleled expertise, be sure to get in touch now. 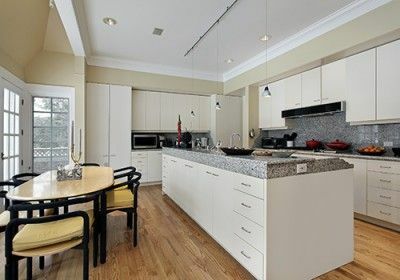 As the heart of any home, you should accept no substitutes when it comes to hiring a quality contractor for the most outstanding kitchens Southampton has to offer. When searching for the most distinguished and widely acclaimed construction company in Southampton, we’re wholeheartedly confident that you’ll be hard-pressed to find a business which can compare with the prowess of Acorn Building Contracts. Drawing on more than a quarter of a century’s experience, no matter the size, scale or complexity of your kitchen project, we guarantee to complete the works promptly and efficiently and to the highest standards possible. Better still, thanks to our efficient operation and many years’ experience, within anywhere between four to six weeks after agreeing to the project details, we’ll have completed your bespoke kitchen. To get a complete overview of our vast and unrivalled construction capabilities, we recommend that you have a browse through our high-definition and regularly updated gallery which you can find out our easily navigable website. Here you’ll find a wealth of pictures which perfectly demonstrate our second-to-none building proficiencies that should help to put your mind at ease. In case you needed another reason to choose our well-reputed construction company when seeking the finest Southampton kitchens, our expertly trained and highly proficient tradespeople can cater to all your construction needs and desires. Our skilled and experienced tradesmen who are backed by full insurance possess all the necessary and relevant experience required to produce exceptionally high-quality construction projects. If you are interested in finding out more about any of our second-to-none facilities here at Acorn Building Contracts, please do not hesitate to get in touch with our first-rate team now by giving us a call. Should you have any reservations about which service would best help you achieve your desired objectives, our courteous and professional team will offer impartial and honest advice to help you reach your goals. Why choose Acorn Building Contracts for the best kitchens Southampton has to offer? Do you still need convincing that Acorn Building Contracts provides the most picture-perfect kitchens in Southampton and the surrounding areas have to offer? If so, we suggest that you familiarise yourself with the most recent feedback that we have received from our plethora of satisfied customers who are happy to applaud our kitchens in Southampton. We’re entirely confident that after browsing through all the feedback we’ve received about our facilities and us as a company, you’ll have a more concise and clearer understanding of precisely why we’re the superior choice. After all, don’t merely take our word for it that we’re unsurpassable and unbeaten for kitchens Southampton – listen to the feedback of our clients to see for yourself what all the fuss is about. It’s imperative to note that a substantial portion of our work comes from glowing word of mouth recommendations which demonstrates our enviably high customer satisfaction rates and stellar reputation for first-rate construction works. With complimentary feedback such as this, it should come as no surprise that our construction amenities are so in-demand and highly sought-after throughout Southampton, Hampshire and Dorset. So, what are you waiting for? The spacious and contemporary kitchen you have longed for many years is only a phone call away – get in contact now to get the ball rolling! To benefit from the expertise, proficiencies and distinguished reputation for excellent Southampton kitchens that is boasted by Acorn Building Contracts, be sure to get in touch now by calling us on 02380 243 336. Alternatively, you can register your interest in our exceptionally high-quality kitchens Southampton provision by either emailing us at acornbuilding@gmail.com or by filling out the contact form on our easily navigable website. Rest assured that whichever you contact us, we’ll always endeavour to get back to you as quickly as we can.